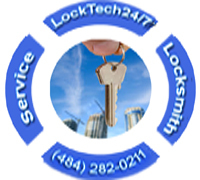 Do you need a commercial locksmith services, right away? We have a professional commercial locksmith team in Bethlehem PA. Our locksmiths available, for your convenience, 24 hours a day, 7 days a week. For the purpose of keeping your business safe, our Bethlehem locksmiths are perfectly capable of handling all type of your commercial locksmith needs. 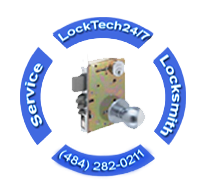 We at LockTech24/7 provide our clients high quality of commercial locksmith services. Our range of services goes beyond a business lock out service. 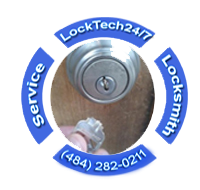 Emergency commercial locksmith services at LockTech24/7 starts from emergency office lock out assistance to push bar repair. We serve a wide range of businesses such as a retail stores on the street or in the mall. As well as office buildings, industrial properties, and more. Our remarkable reputation of locksmith services in Bethlehem PA is well recognized. That is because of our expertise and the final result we delivery to our customers each and every day. Our locksmiths provides you with an objective to meet the exact demands of all locksmith needs for your business. 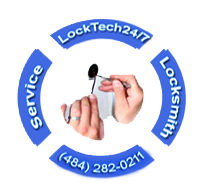 At LockTech24/7 Mobile Locksmith Shop, we proud to consistently earn great reviews from our customers. We provide unrivaled, speedy locksmith services in Bethlehem area. Don’t let a lost key or jammed lock ruin your day. Call us for the fastest service around! Your commercial locksmith in Bethlehem, PA.
We have always been productive in satisfying our customers. Whether it the quality or reliability. Perhaps, getting on time coupled with rendering fast service also guarantees your satisfaction. Our extremely skilled locksmiths are definitely capable enough to handle any such of commercial lock and key problems. When you have upcoming locksmith project on your business, you can rely on us. Our locksmiths are equipped with advanced tools and gadgets to handle any project, complicated or not. Specifically in lock installations, repairing and creation, we’ve no competition in the Lehigh Valley. Knowledge is power! Knowing your security options, and keeping your locks and access control functional, as well as up-to-date is critical to protecting your business. Whether you know it’s time to enhance the security of your entry points at your business. Or maybe you are in an urgent and sensitive situation that need to be care of professional locksmith. Call us to repair your security features, our commercial locksmith team is ready for you. Having yourself lock out during a busy working day is an unpleasant moment. 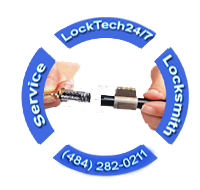 If you lock yourself out of your office or your shop, LockTech24/7 is the locksmith to call! 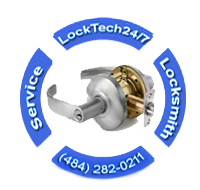 With our work and commitment, we provide excellent and quick 24/7 emergency locksmith services. We cover the entire Lehigh Valley and surrounding area. We provide emergency lock and key services for business owners such as retail stores, offices, and corporations. Our locksmiths can unlock any commercial door whether front door, or storage room. When it comes to emergency locksmith needs for your business, we are your best choice. Time is money, and when you lock yourself out you’re losing time. Among our emergency services for business owners, we cal also repair locks, remove broken keys, and repair push bars. Every day there are many people that manage to lock themselves out of their business. This can happen out of no where, during your busy day. Regardless of the reason that you have been locked out of your business, you need LockTech24/7 business lockout service in Bethlehem that you can count on. You left the keys to your business on your table, suddenly you found the keys are gone. You ask your secretary and your employees if anyone saw the keys, but no one claim to see them. You’re getting suspicious, perhaps someone stole them. This is a serious security issues which you must address as soon as possible. Call us to re-key locks in your business as soon as possible. Get a new fresh key to your business, and have peace of mind. When we re-key your locks, we’re changing the combination of the pins inside the cylinder. We match a new key to your locks, so the old key will no longer work. We can also rekeying your locks to create a master key system for your business. Are you thinking to upgrade the security of your business? Let us do the hard work! When you choose us, you ensure a proper installation and better security. This is a better choice than risking the safety of your business and your employees. We have many years of experience in the locksmith industry of Bethlehem PA. And we’re your best choice because we believe in being fast, upfront and honest. We mean that we will give you a fair quote in advance, over the phone. So if you need to repair lock in your business, we’re here to help. In addition, if you want to change locks in your business, or would like to get an estimate, please call us now. As the crime level in Bethlehem and the Lehigh Valley, Pennsylvania is on the rise, remember to protect your property, and your investment! When your key breaks inside the lock, it can be a very stressful. Especially, if half of it ends up stuck in the cylinder lock. When this happens, it is highly recommended to call us to extract the broken key. Please avoid trying to do it on your own because you can push it in, deeper. Many people thinks they are saving money by attempting to remove the key and end up shoving the key deeper and even sometimes bending the lock pins or breaking the springs because the pressure. It’s important to realize that we can’t remove every broken key. In some cases we need to remove the lock in order to enter the property. You arrived to your business early in the morning and you try to open the main door. When you insert the key to the lock, you find that you can’t open the door because the door mechanism is jammed. After several more tries, you suddenly realize scratches on the door and the frame is bend. In this moment, only one question raised on your mind. Are the thieves got inside easily by bumping your lock mechanisms? In such situation, call our emergency commercial locksmiths, as soon as possible. We can repair your lock and door mechanism in a fairly price. We can secure ways to prevent this from happening again. Our professional locksmiths are ready to repair any commercial lock and door mechanism. Call our local commercial locksmiths to secure your business when a problem arise. Electric strike is an access control used for commercial doors in office buildings, warehouses, and industrial facilities. It replaces the fixed strike faceplate often used with a latch-bar, also known as a keeper. Electric strike system gives you the comfort to stay on your chair, opening the main door of your office by pressing on the button which is located in your favorite spot. 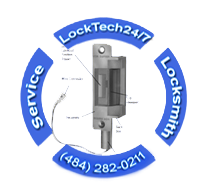 When you look for a professional locksmith company to maintain fresh installation for electric strike system in your business, simply call us.